Set for a Fall 2018 launch, the LeSportsac’s latest collection takes the larger-than-life Minions from Illumination and Universal Pictures’ Despicable Me franchise and tells their story on LeSportsac’s most beloved styles, updated with fun Minion twists. Always unpredictable, these lovable characters and their delightful antics are featured on four prints and three graphic styles. In addition, fans of the animated movie can also find a square cosmetic bag, coin pouch, and bag charm as part of the collection. 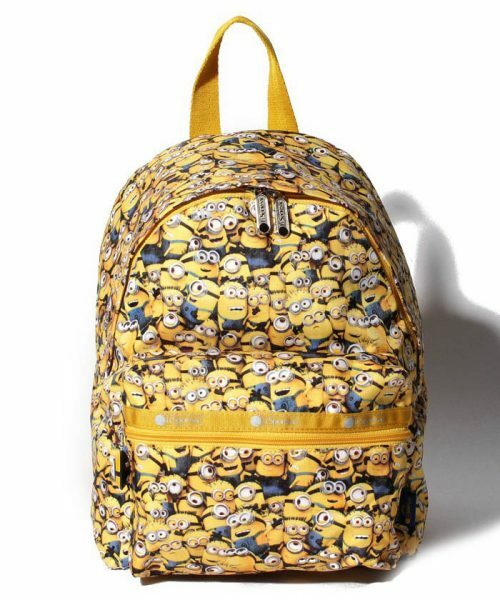 Available in 31 styles including handbags, book bags, totes, and weekenders, each style showcases a one-of-a kind Minions zipperpull. The Minions X LeSportsac collection will be available at LeSportsac.com and LeSportsac boutiques worldwide beginning in August 2018.